Welcome to Southwestern Electrical Sales, Inc. Southwestern Electrical Sales specializes in locating fittings and conduit, including plasti-bond/PVC coated fittings and conduit for Electrical Wholesale Distributors. We have one of the largest commercial and industrial fittings inventories in the United States. 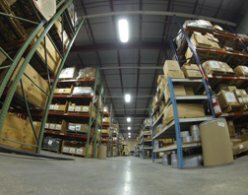 With more than 100,000 square feet of warehouse space, filled entirely with commercial and industrial fittings, we are your source for electrical material. Southwestern Electrical Sales inventories conduit and fittings from a variety of manufacturers. Use the sub menu on the left to locate the correct part number for your specification, fill out our request form located on the contact page and we'll get back to you right away.